Unfractured follows biologist Sandra Steingraber as she reinvents herself as an outspoken anti-fracking activist and throws herself into an environmental war that many believe is unwinnable. Branded a “toxic avenger” by Rolling Stone, Sandra quickly emerges as one of the leaders of New York’s largest grassroots movement in decades. Unfractured explores the toxic world of fracking, a process to extract natural gas from the Earth with drilling and toxic chemicals, through a new lens. 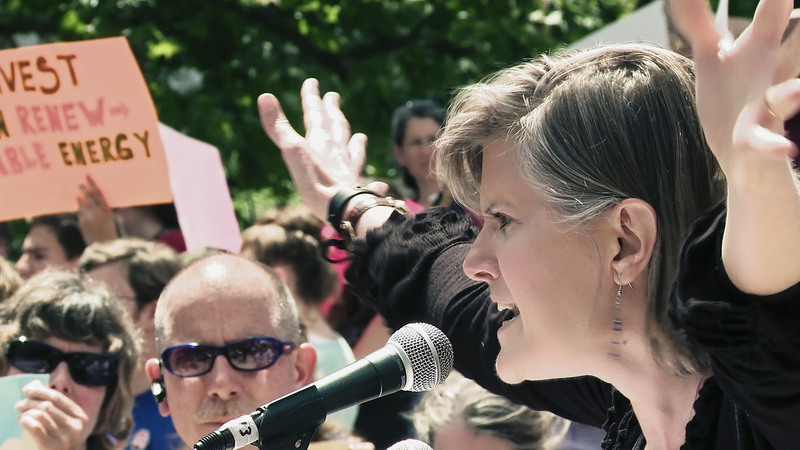 Rather than focusing on the harms of fracking, which are addressed throughout the film, Unfractured is a film centered on Sandra Steingraber and her fight. By placing Steingraber front and centre, the documentary is able to explore the heart of activism and the importance of community in the face of corporate greed. Filmed over a year, Unfractured follows Steingraber in her fight against the gas industry in New York. As debates and rallies continue, it becomes apparent to Steingraber that empirical evidence is not enough to win against the fracking companies, so she travels to Romania to learn more about effective activism. Here, the film takes a turn and the stakes are raised with unmarked cars, pepper spray, and police involvement. Unfractured follows the evolution of an activist and reflects on the risks and rewards of following your convictions.